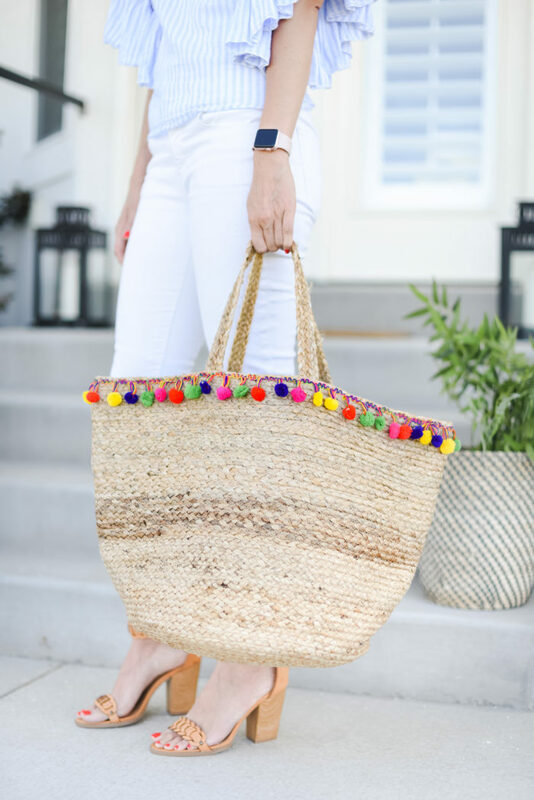 Large Straw Tote That Will Hold Everything You Need! 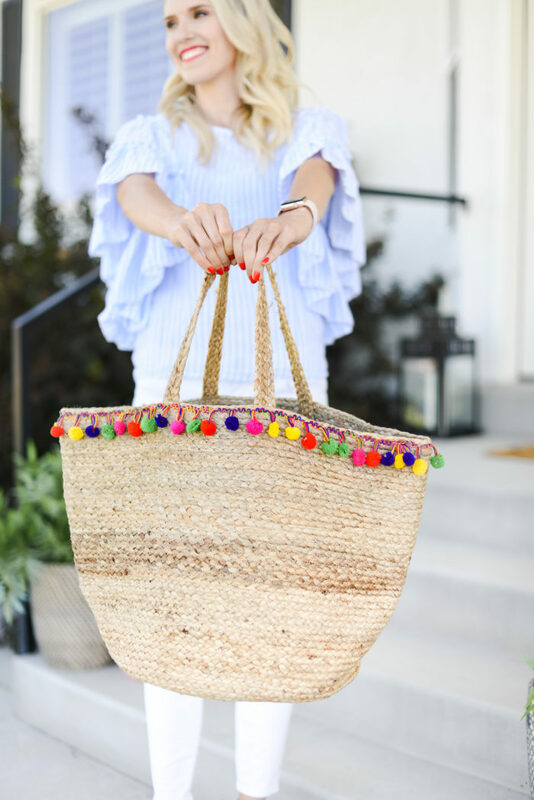 Large Straw Tote That Will Hold All of Your Stuff! I FINALLY found a super large straw tote that is actually large enough!!! I have been searching for a long time. But, seriously. I would look in stores and online and then I finally found this one that is!! I feel like there are so many others that will hold one, maybe two large towels and they are busting out of the top. That would be great if I had 15 arms and could carry 15 beach totes, but I don’t. I probably won’t any time soon, either. Just a thought. This tote holds 3 large towels, toys, sunscreen and has room for other things too. I like to carry one tote and I need it to fit everything! We are in Lake Powell this week and I brought this so that when we go in the boat, I can carry everything that we need. Now that we have 2 extra family members this year, the amount of things that we need are much greater than they were before. Somehow it’s more than 2 more times ha ha 🙂 It’s nice to be able to have this large straw tote with us that I can keep everything together in one spot. It’s so easy to misplace things, especially when my hands are full! This shirt sold out really quickly, but this one has a similar look and I really, really love the sleeves. It’s really versatile and I love that it can be worn with jeans, white pants or tucked into a pencil skirt like this one. I hope you have a great week, my friends!! See you back here on Fri-yay. 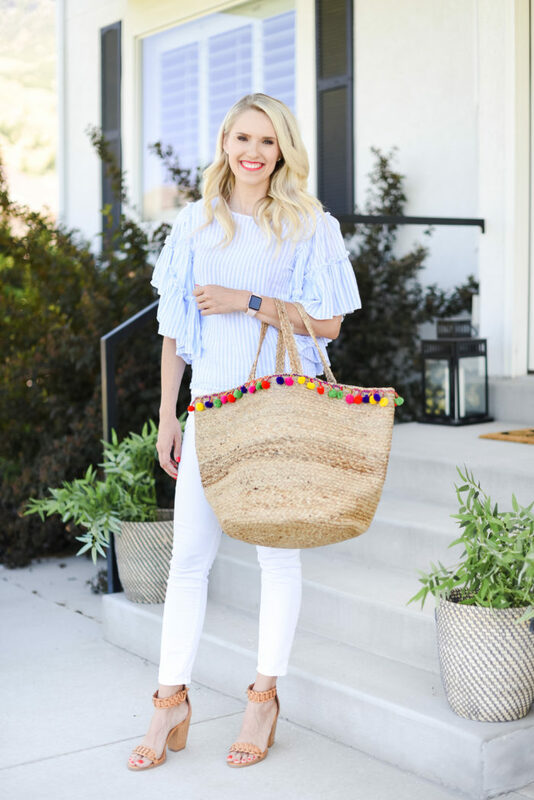 Previous Post: « Blue and White Striped Tee Under $30!